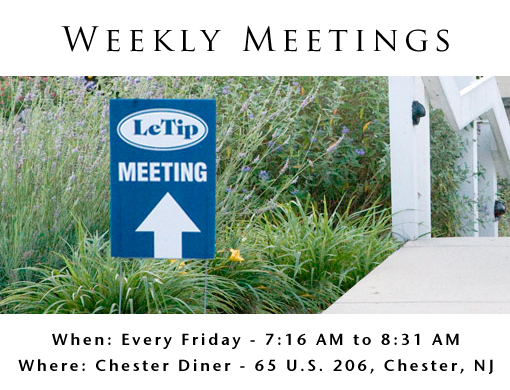 Letip of Somerset Hills meets weekly at the Chester Diner on Route 206 in Chester on Friday mornings from 7:16 am to 8:31 am. Guests are always welcome! Contact us today to arrange a visit. Last Year Letip of Somerset hills passed over $500,000 in tips from one member to another. LeTip of Somerset Hills has 21 area businesses represented. 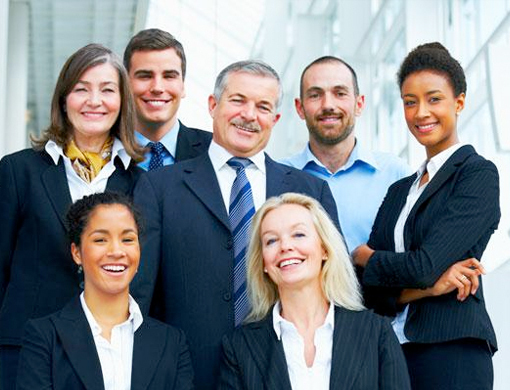 Its members serve as a SALES FORCE for each other and pass over 50 qualified tips each month. Weekly Breakfast Meetings are brief and to the point. Members have the opportunity to identify their businesses and products at every meeting and make a formal presentation at least twice a year. We Don't Expect Too Much! Please come and visit for free! Shredding or Secure Document Destruction? 1. LeTip membership puts "Dollars in your pocket". 3. LeTip is a family and members are loyal to one another. 5. LeTip stimulates the "Feel Good Factor" that great feeling we get in our hearts when we help another towards success.